Blowout Sale! 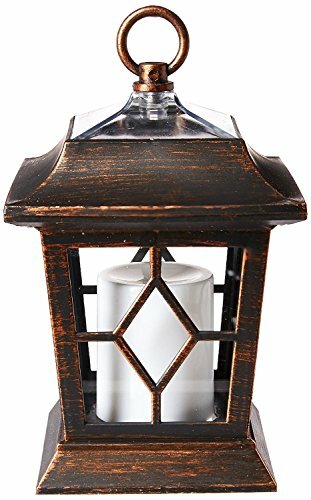 Save 57% on the Lightshare Solar Candle Lantern by Lightshare at Home Decor Outlet Store. MPN: TYNFD. Hurry! Limited time offer. Offer valid only while supplies last. Lightshare Solar Candle Lantern with a creative design of hanging ring, is ideal for reception, garden, wedding, Christmas, party, yard, path, etc..
Lightshare Solar Candle Lantern with a creative design of hanging ring, is ideal for reception, garden, wedding, Christmas, party, yard, path, etc.. Solar powered lights, energy-saving, easy to assemble, No Operating costs, No Electric costs. Manual on/off switch. Not only could be used indoors in an evening to light your home, but also could be hung outdoors. Enjoy DIY beautiful light show. ✅ Solar powered lights for saving energy. ✅ Automatically turns on at Dusk and off at Dawn. ✅ Have an antique finish for an aged look. ✅ Unique design gives artistic and special elegance. ✅ Weather-resistant design is suitable for indoor or outdoor use.